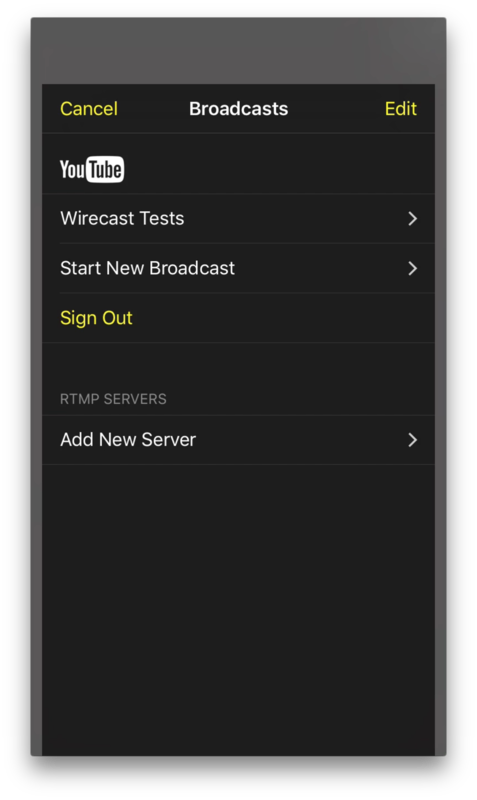 Stream to YouTube with iOS free app? Based on the app description, one should be able to do a basic live-stream with the free version of the Wirecast Go app, but when I try to start a new broadcast, I cannot proceed past a pop-up to purchase the premium features. When dismissed the pop-up returns whenever I try to enter data into the required fields like Title and Description. and in Wirecast Go that name appears and I can stream to it. Using the Start New Broadcast feature needs the paid version. Granted that's confusing. Please do report that. This solves, it thank you! 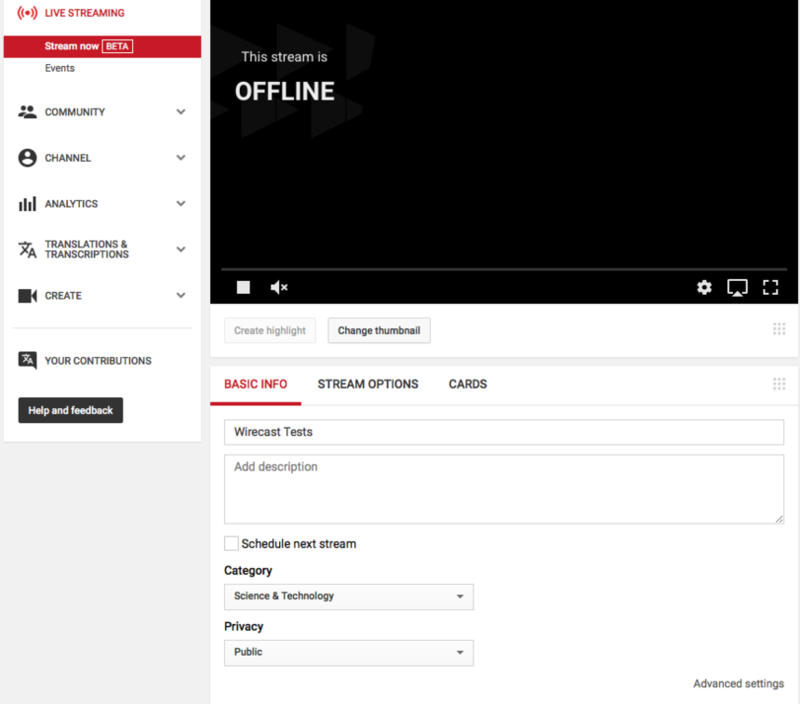 So you first have to set up the Livestream within YouTube, and then you can access it from Wirecast Go, rather than setting it up from within Wirecast Go directly. I apologize that our instructions are so sparse.